Call Recording and Conferencing add on apps. You only pay for your dids and outbound usage. Conference Bridge is an optional add-on. Unlimited VoIP to VoIP ON-NETWORK calls. Our TOLL FREE Conference bridge is not limited by channels. 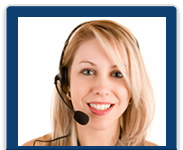 For more details on call conferencing add-on module, please click here. Start Your Own Hosted PBX Business with your own private-brand using our back-end login page for your customers. You can purchase phone numbers using our automated application interface a single did at a time. You can buy your own channels (VPRI) and assign your phone numbers to your channel bank for Unlimited Inbound Minutes. We do not charge for extensions. You only pay for outbound minutes usages and for your phone numbers or direct inward dial (did) numbers. Our Cloud Computing Services are hosted on our VoIP Porta Switch in our Network Operation Center (NOC). We recommend our Premium VoIP routes. We can provide a turnkey solution with T1/PRI circuit direct to customer premise in most major US locations for Quality of Service (QoS). We recommend Cisco hardware although our service will work with most open sip compliant hardware. We recommend you have tech personnel on staff that are familiar with Local Area Networking (LAN), Wide Area Networking (WAN), firewalls, Quality of Service (QoS) , routers and internet connectivity if you plan to deploy these services to businesses. Please also review our custom support plans, our technical requirements and our pricing. You can check your email/voice mail/fax all in one place. This package is also ideal if you want to sell your own personal phone number with specific numbers set to ring specific destinations. For an example, you can setup our personal numbers to ring friends, family and business contacts worldwide with no additional cost to the caller!! The auto attendant, voice mail and other select unified messaging features can be added to the personal number as well. You'll get low wholesale rates on our services, and can re-sell them for whatever rate you like. This package does NOT include a front-end website. We provide the back-end web interface that can be customized into your existing website. Please select this option if you have your own website and just need our back-end web control panel. A real, live human being will respond (by email, ticket, chat, or phone) and answer your questions and help you decide which plan will work the best for your needs.